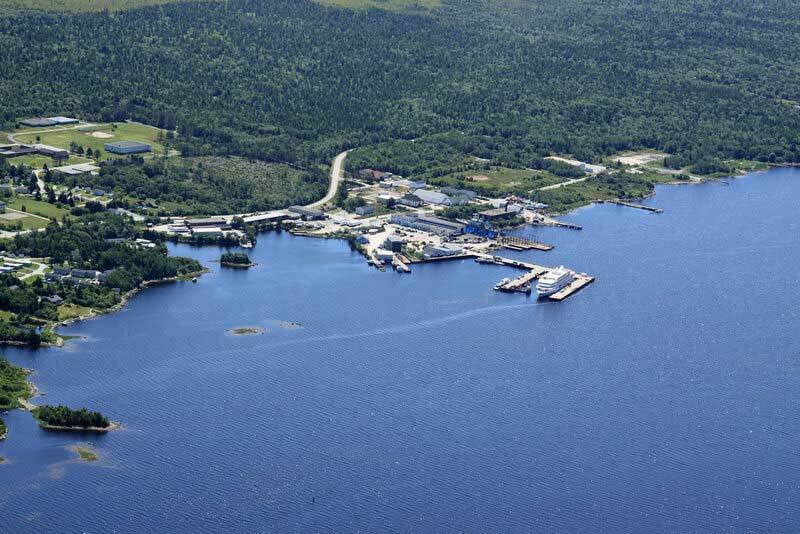 The Municipality of the District of Shelburne’s Industrial Park is perfectly positioned and well equipped to accommodate new and expanding businesses. A number of lots are available with power, water and sewer services already in place. Choose from water frontage and/or road frontage lots to best accommodate your company’s needs. On the Sandy Point Road, the Industrial Park is conveniently located near the boundary of the Municipality and Town of Shelburne and offers an easy commute for customers and employees. While being accessible, the Park also offers the benefit of an industrial centre as a hub for manufacturing activity and a productive atmosphere. The Municipality’s long coastline and deep harbours have been the primary driver of economic activity in the region for generations. The Municipality of Shelburne is located on the southern tip of Nova Scotia, we are close to international shipping routes and are also within easy reach of the most important Eastern seaboard ports in the U.S. Located next to well-traveled sea lanes to and from Europe, sailing distances are approximately 600 nautical miles to New York, 380 nautical miles to Boston, 750 nautical miles to Norfolk and 2,374 nautical miles to the United Kingdom. Facilities can operate 365 days a year in ice-free conditions in a climate more similar to New York than central Canada. Shelburne’s harbour has an ice-free, deep water advantage, ensuring year round access.